The Nine2FivePro Eastern Canada Gravel Cup p/b Euro-sports is proud to announce that they are hosting Canada's first "unofficial" National Gravel Cyclosportif Championships Saturday June 1st at Wheelers Maple. 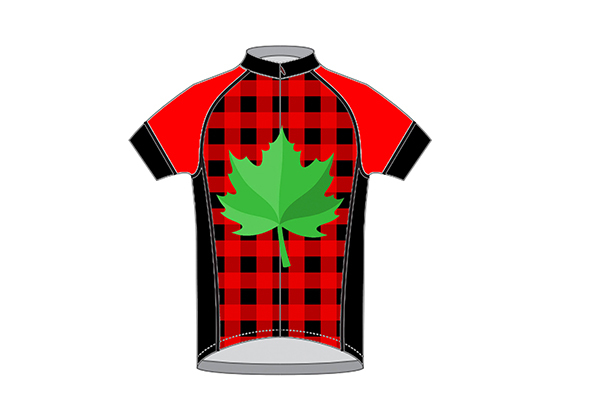 The winner of the Open Men and Open Women's "Competitive" categories for this second Gravel Cup event, the Wheelers Lanark-Liège will becomes Canada's first ever National Gravel Champions and be awarded National Champion Jerseys. After spending much of the gravel season covered in layers of dust, white has been left off the jersey and replaced it with the overwhelming colour seen when gravel grinding: the green of summer. The competitive and sport courses have been designed with precision using the best undulating single lane treed gravel roads of Lanark County, Canada's gravel cycling capital. The signature part of the course uses the spectacular Ranger Camp forest access road and returns along the scenic shore of Dalhousie Lake on North Shore Road. The final stretch climbs the "Stairway to Heaven" climb on Concession 12 before winding through the back entrance of the sugar bush to the Wheelers Maple Dining Hall. Come to Wheelers Pancake House near Perth, Ontario on June 1st to experience Canada's first National Gravel Championship and watch the finishers come in as you eat your pancakes and maple syrup. With barely any pavement, little traffic and endless single lane treed gravel roads everyone will feel like a national champion.